You can walk into any store that sells wine and pick up a bottle of wine ranging in price from several dollars to several hundred dollars. 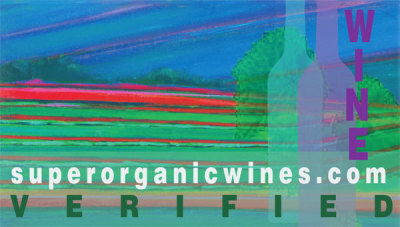 Yet have you ever looked at the label beyond who makes the wine? Most people today are label conscious when it comes to the foods they eat, juices and sodas they drink. Everyone looks at the ingredient listing on the label for one thing or another; maybe it's for the gluten content, sugar or salt content or any number of things the health conscious person wants to avoid ingesting. 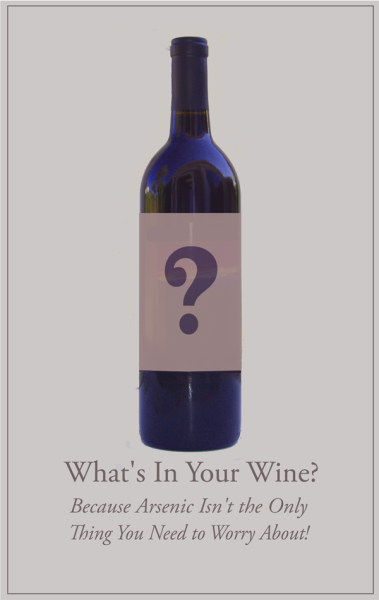 Next time you pick up that bottle of wine, look at the ingredient label and take a look at it. When you do, you will see simple ingredients, a warning for sulfates and how the alcohol content might affect the health of pregnant woman and their unborn child. That is all that winemakers and distributors are legally obligated to warn their consumers about and it should shock you. What they don't have to warn you the consumer, not to mention that unborn baby, about is how many dangerous and highly toxic chemicals go into what passes for wine making in today's world. Chemicals that are not only dangerous on their own, but when added to alcoholic content, become an even more intensified health risk. You wouldn't feed yourself, your child or your pet things with harmful chemicals in it. You would write letters and petitions to the makers of those products demanding that they change the way things are made. You would demand that your local supermarket or convenience store to stop carrying the products that would poison you, your children or pets. Yet, everyday, almost all the wine makers all over the world are freely allowed to mix in hundreds of chemicals to their wines without any regulation or oversight and NOT have to give you the consumer a single warning about it. Think about it, there are no FDA warnings required on wine labels! They are not required by any law to tell YOU what you are drinking along with the grapes, sugar content and sulfites. They don't have to tell you that it's more than the alcohol content in their wine that may cause harm to an unborn child. You the consumer have no choice. If you chose not to intake a carcinogenic chemical with your wine for dinner you have no way of knowing and most of us do not have a clue. It is time to get that clue. It is time to do something to think about it!